/ Chalk Supply Medium White Bristle Paint Brush, 2"
Chalk Supply Medium White Bristle Paint Brush, 2"
Oval fresco type brushes are the type preferred by most Chalk Painters and for good reason. The dense, oval shaped boar's hair bristles carry a large amount of paint while the varnished, contoured handle is comfortable even after long use. Total length of 9" with a 5 3/4" long handle. The bristle has a length of 2 1/2", width of 2" and height of 1 1/4". 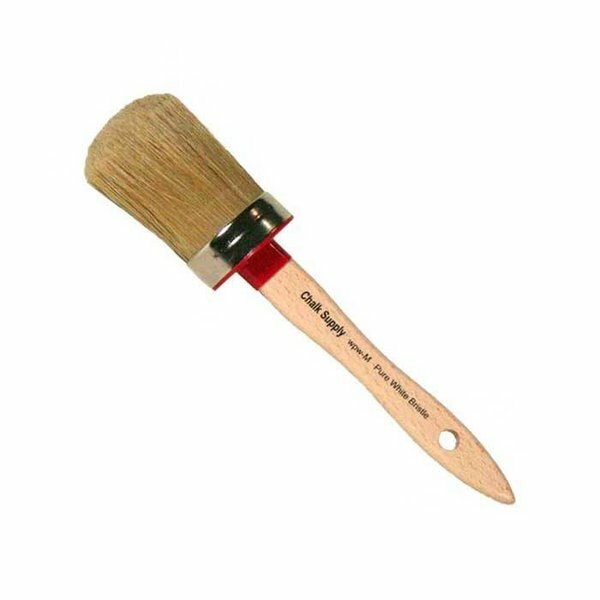 Oval fresco style brushes are the type preferred by most Chalk Painters and for good reason. The dense, oval shaped boar's hair bristles carry a large amount of paint while the varnished, contoured handle is comfortable even after long use.